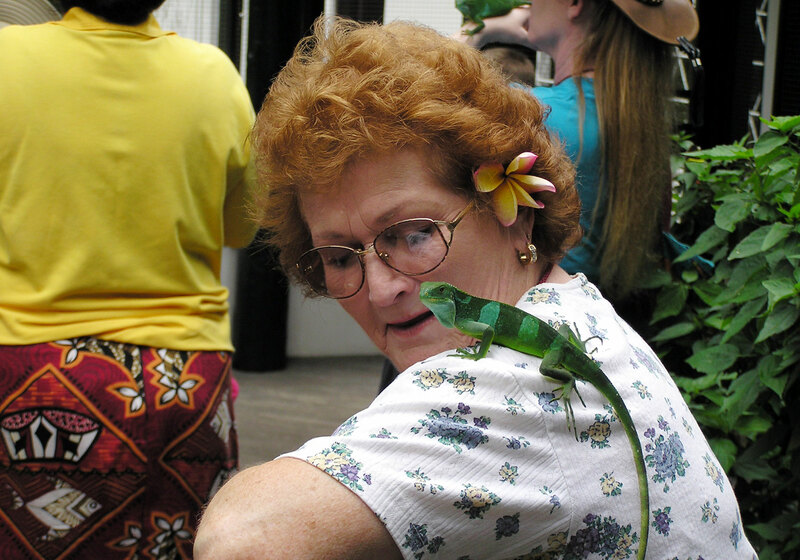 Animal Interaction – It’s Free with Park Entry! So when was the last time you held a snake? Never? How about an Iguana? No? 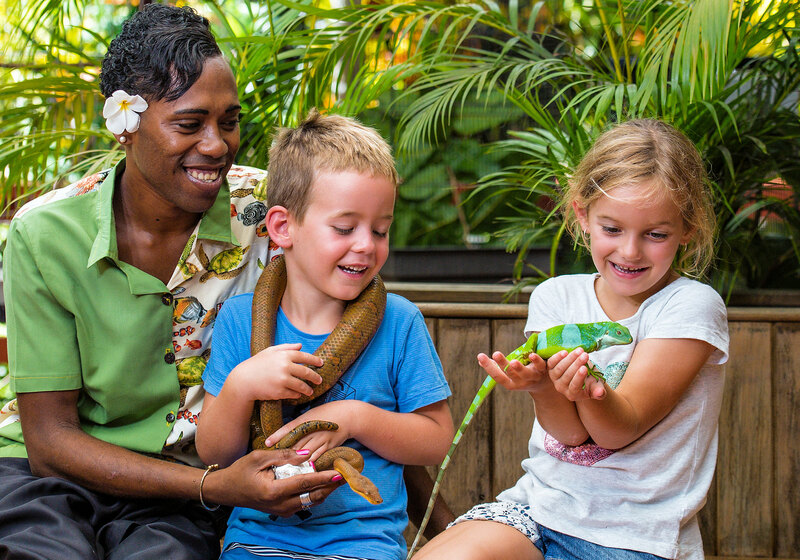 Well now you have the chance to experience wildlife up close and personal at Kula’s animal interaction area. Don’t be surprised when our Park Rangers ask that you sterilize your hands with a quick spray and wipe. Our animals are our pride and joy so no disrespect intended when we remove any cream or bug spray you may be wearing. Now, get your camera ready for the snap of a life time. 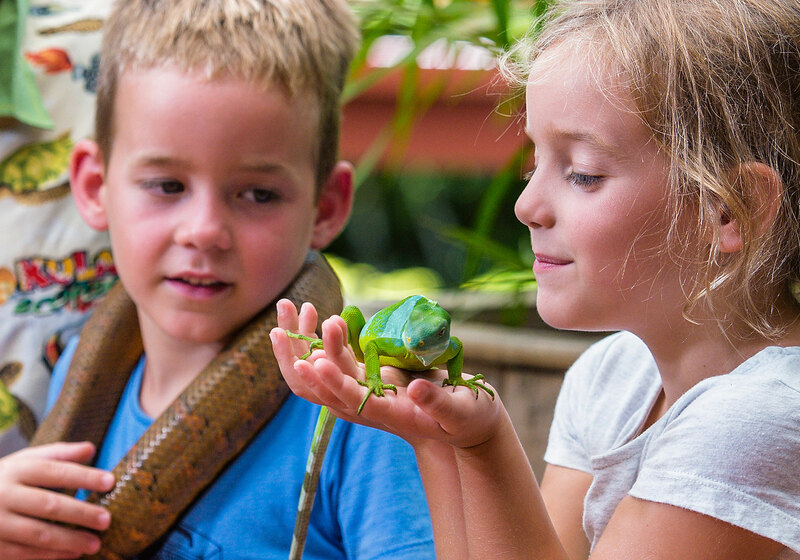 Feel how smooth and silky a Pacific Boa’s skin is – not at all slimy like most folks imagine. 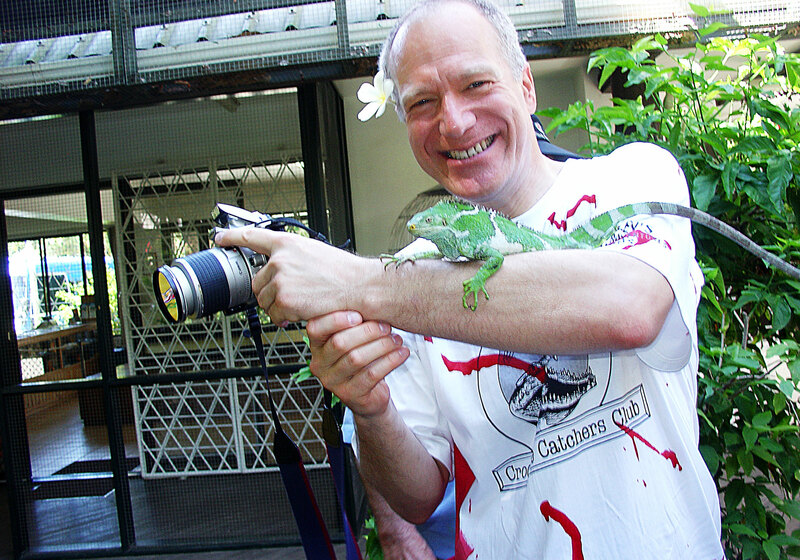 See how attentive and attractive a Banded Iguana can be sitting in the palm of your hand. And remember, although they are quite happy being handled, interaction animals are rotated on a strict schedule to ensure their long term comfort. The kids will love the interaction area and you’ll take home some precious images that the kids will always cherish. They’ll make a perfect post for your FaceBook page and a constant memory of your visit to Fiji.